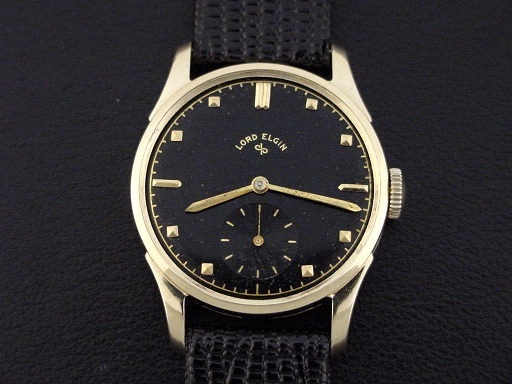 Lord Elgin “Henslee” men’s Retro Modern design wristwatch in solid 14K yellow gold, circa 1948. 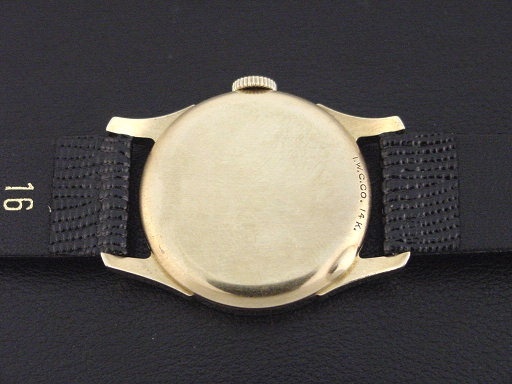 The "Henslee" has a simple round case with large lugs and was priced at $125.00 in 1948. 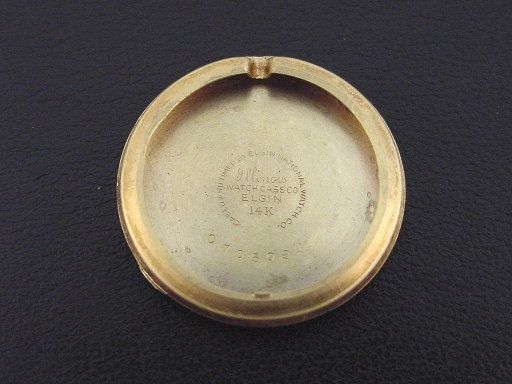 This is the earliest version of the "Henslee" and is housed in an Illinois Watch Case Co. case. 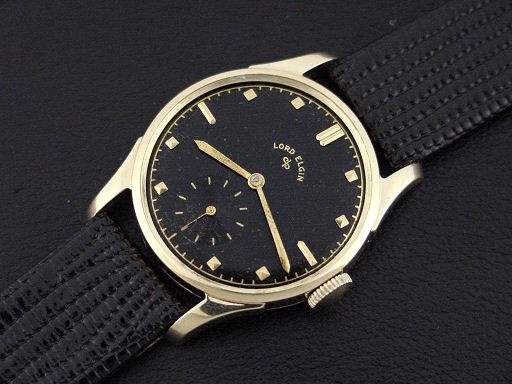 It pre-dates Elgin's use of the "Henslee" model name and was catalogued simply as the "Model 4902." It is in crisp, excellent condition showing almost no wear. Caseback is superb and unengraved with all of its original frosted finish. The case measures 36mm long and 29mm wide. 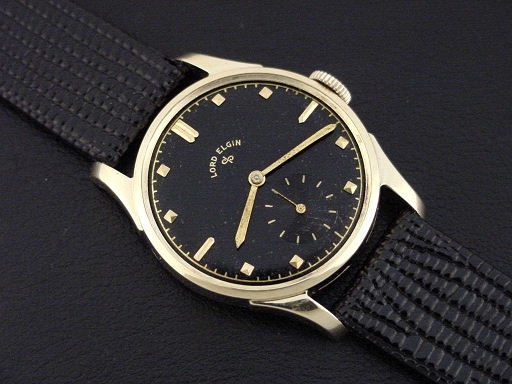 Original black painted numeral dial is very good with some minor marks, has solid 18K gold applied markers. Gold hands show some minor discoloration. Original glass crystal is excellent, with one small scratch. 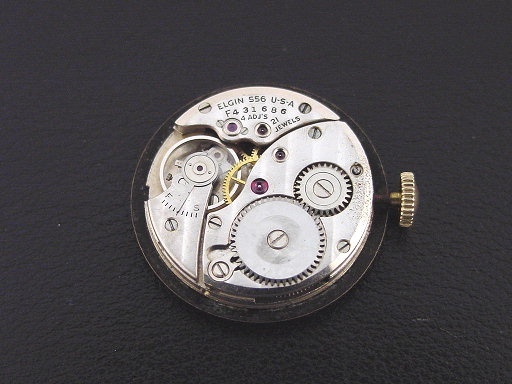 This watch is powered by its correct 21-jewel Elgin grade 556 manual wind movement, just serviced and running strong.